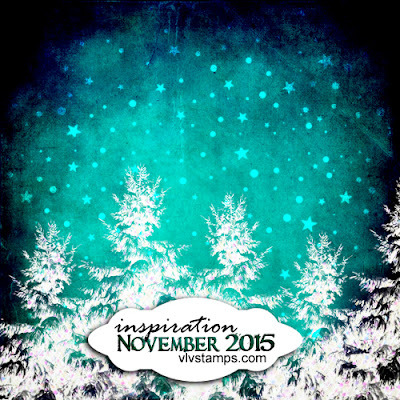 November's inspiration challenge at Viva Las VegaStamps! is one of my favorites!! I love the color! It makes me feel all wintery inside. I created a tag to enter. I was inspired by trees, blue, ice, pines, snow, falling snow. 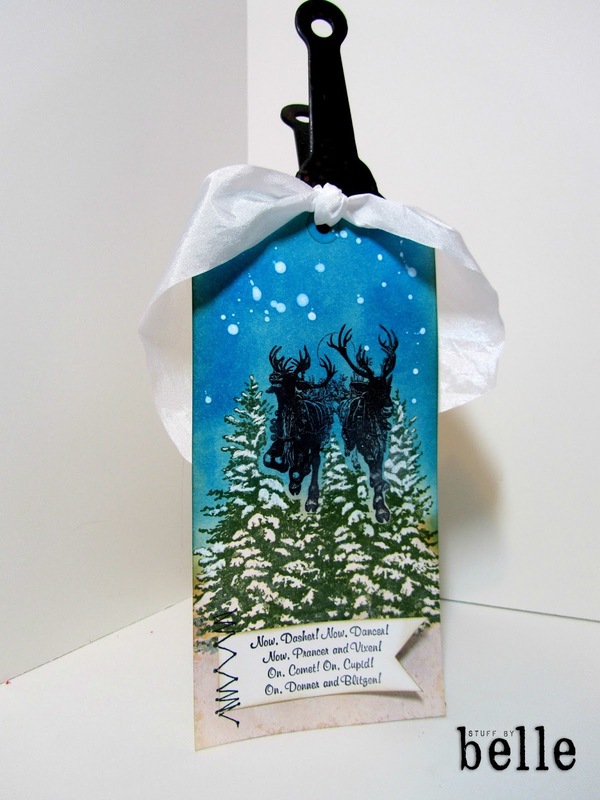 Other items used: Archival ink-green and black, white pen, Distress spray, May Arts ribbon. I had fun with some masking on this one. Are you inspired?? Then get linked up for a chance to win!! 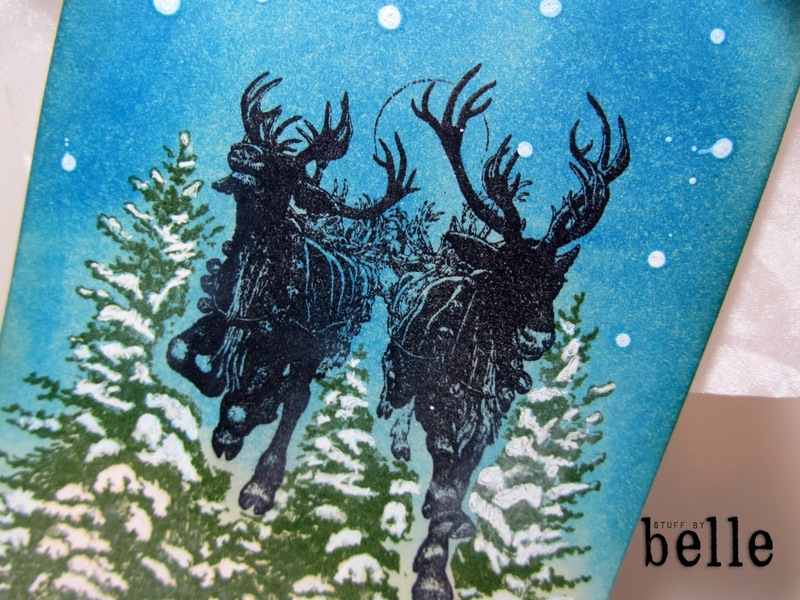 Labels: archival ink, Distress Spray, may arts, michele kosciolek, Viva Las VegaStamps! What a beautiful tag ! What a gorgeous tag! Thank you for joining the VLVS Challenge. Hugs Susanne.